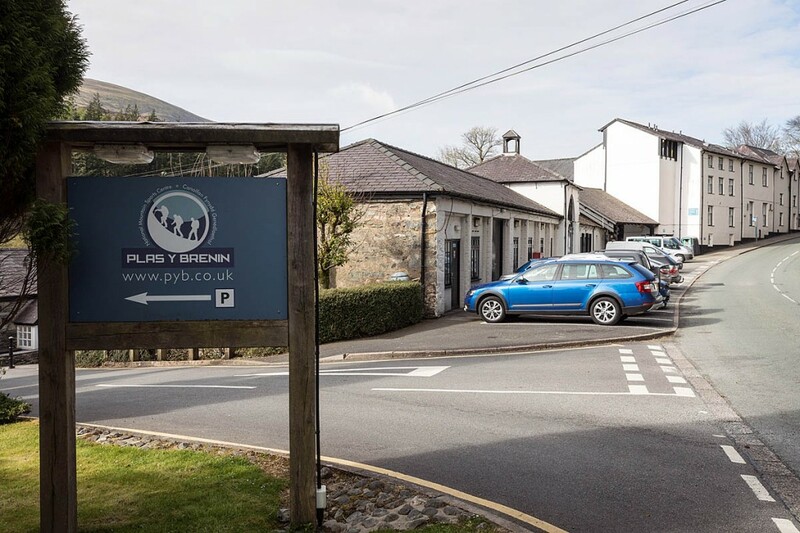 The sun shone brightly on the Snowdonia mountains surrounding the national mountain sports centre at Plas y Brenin, but inside a packed meeting room the atmosphere threatened to be stormy. 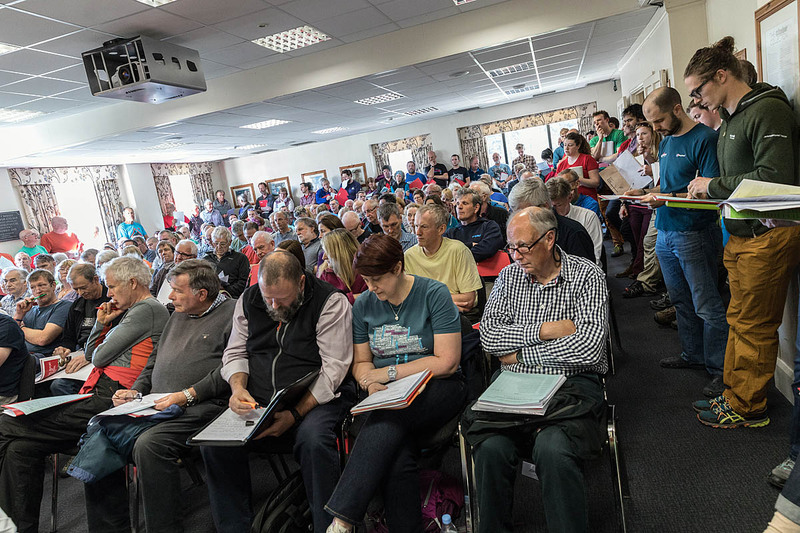 It was standing room only as about 170 members of the British Mountaineering Council packed into the room where the organisation’s annual meeting was taking place. The agenda had the usual mix of run-of-the-mill motions: apologies, approval of minutes, but lurking at the foot of the list was item nine: the vote of no confidence in the BMC’s executive committee. As it turned out, chair Rehan Siddiqui kept things relatively good natured, considering the contentious atmosphere, but he had his own lightning bolt to deliver at the end of the session, which ran for almost four hours rather than the planned 1½ hours. Last year’s AGM, by comparison, lasted only 35 minutes. 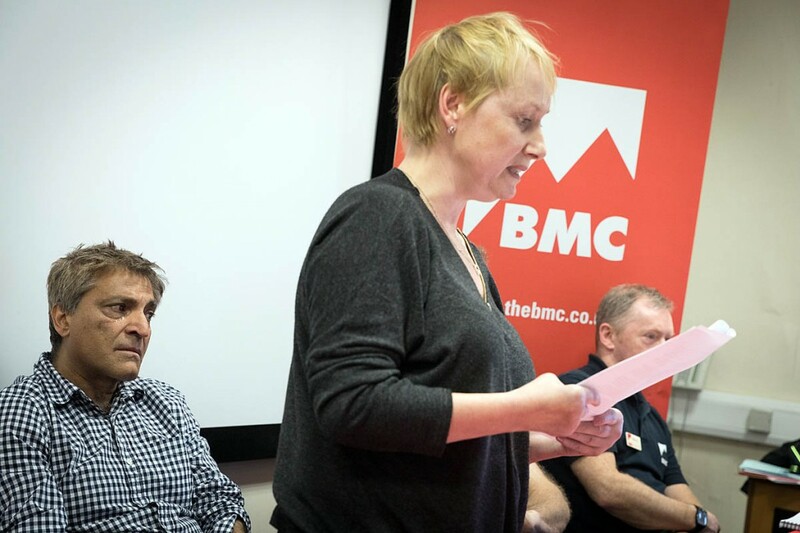 Inevitably, item nine crept into discussions higher up the agenda, with the distinction between the BMC being a representative body and a governing body being discussed. 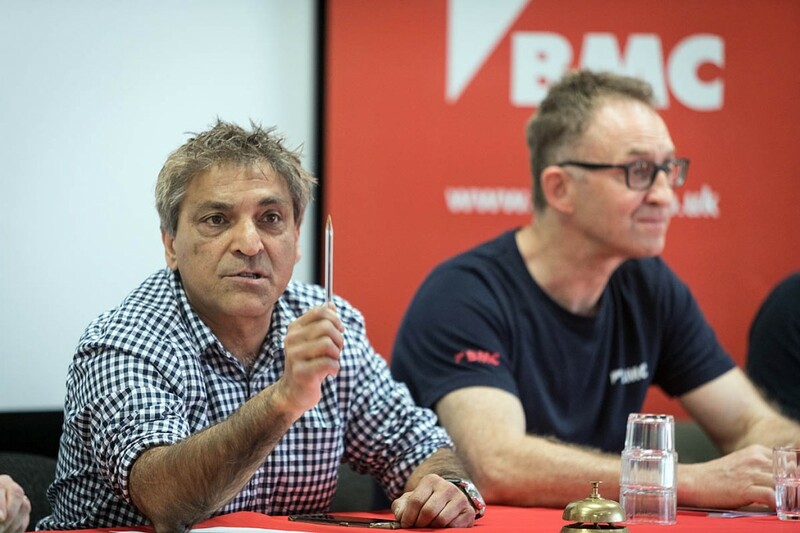 Chief executive Dave Turnbull insisted there was no question of the BMC trying to ‘govern’ climbers, but there was a necessity for competition climbing to have a governing body. That was how competitive sport worked. The motion of no confidence had taken up 90 per cent of his time during the past few months, he said. Because of this a strategic plan he had been working on for 2017-2021 has had to be put on hold. But he assured members the Olympics would not be allowed to affect the core activities of the BMC. A governance review would take place, overseen by the BMC’s national council. It would have an independent chair – Ray Wigglesworth QC has been suggested. He’s a climber and former judge but is not a BMC member. The motion of no confidence had brought the attention of Sport England, it was reported. If the review does not take place, the BMC will receive no funding from the body. The BMC has 33 staff, five of whom are fully funded by Sport England, it was revealed. There has been a huge increase in the number of individual members – as opposed to those whose membership is solely through clubs – over the past decades. In 1976 there were only 1,700; in 2016 there were 56,000. The BMC has more than 500 volunteers working for it. Total membership of the BMC in 2016 stood at more than 82,700. The Mend Our Mountains campaign to crowdfund repairs to upland paths was noted as a success, raising more than £100,000, and it was revealed that Mend Our Mountains 2 was being planned for later this year. The BMC intended to be the ‘natural home’ for hillwalkers. There was little opposition to most of the remaining motions, with a handful of members voting against the adoption of the previous year’s minutes, annual report and accounts. The meeting voted overwhelmingly not to move the contentious item nine up the agenda. DonnellyBentley were appointed auditors with no opposition. Their representative was also on hand at the meeting to provide oversight of the voting. 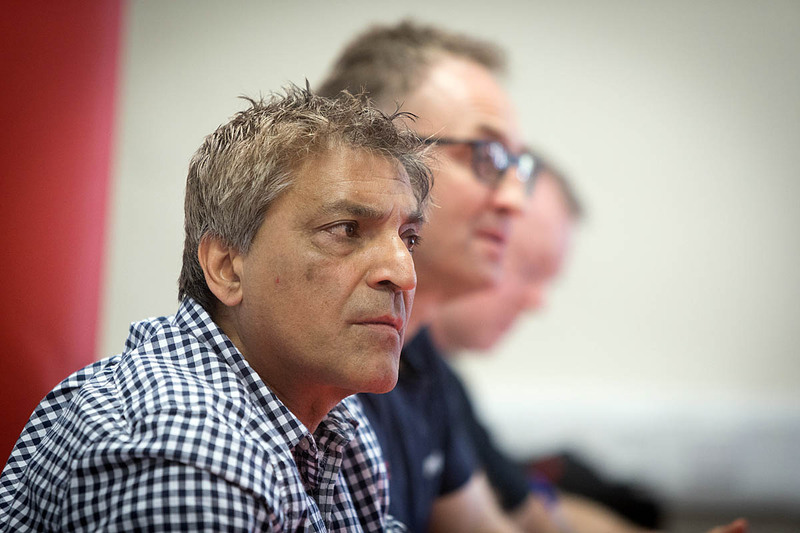 Rehan Siddiqui was re-elected president with only four in the room voting against and Nick Kurth and Emma Flaherty re-elected vice-presidents with minimal opposition. John Simpson retired as honorary treasurer, Rupert Davies as a vice-president and Brian Smith as an independent director. Graham Richmond was elected new treasurer; Roger Fanner, Will Kilner and Rik Payne to the executive; Simon McCalla and Matthew Bradbury as independent directors. Two women were proposed from the floor of the meeting for election and Lynn Robertson narrowly beat Fiona Sanders, polling 80-74 to take the place. Bob Pettigrew then took to the rostrum to outline why members should support his no-confidence motion; Doug Scott, who supported it, was not at the meeting. Rehan Siddiqui vacated the chair, which was taken by national council member Rik Payne. Mr Pettigrew said an AGM must fulfil two functions: accountability by the directors of the company – the council is a company limited by guarantee – and transparency by them of their future policies and strategies. He said a decision on the inclusion of competition climbing in the Olympics was imminent at the time of last year’s AGM. He said he spoke in favour of the need for the UIAA, the International Climbing and Mountaineering Federation to remain the representative body of mountaineering rather than the International Federation of Sport Climbing, run by Marco Scolaris. It was clear Mr Pettigrew is no fan of Mr Scolaris. 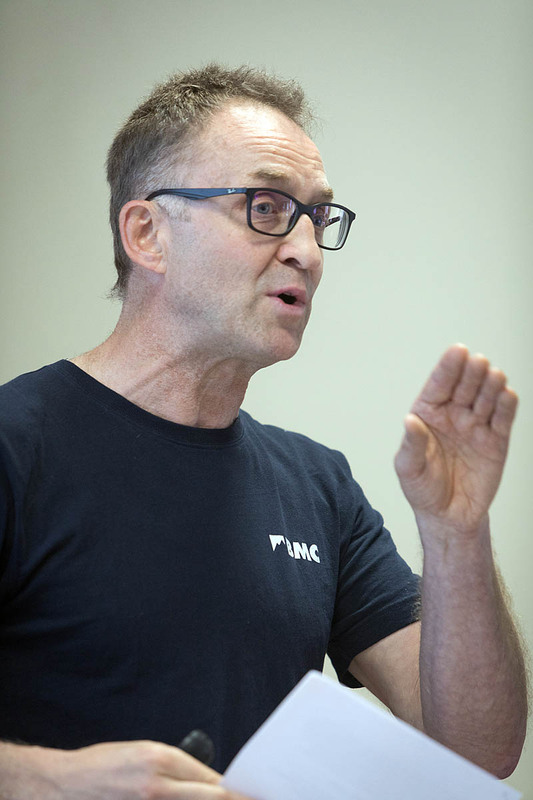 Mr Pettigrew said the decision to back Olympic inclusion was taken by the BMC’s national council in 2008, but no AGM had debated the case for a British climbing team to be included in the Olympics. It should not have been delegated to a national council debate in such controversial circumstances, he said. This decision risked turning the BMC into the equivalent of British Canoeing or British Cycling. He claimed a request was made to change to name of the BMC to the British Mountain Sport Climbing Association in a similar way to the Japanese body’s name change. Ross Worthington later asked Dave Turnbull if this had been the case. “Absolutely not,” he replied. Mr Pettigrew said he believed the reason £75,400 of taxpayers’ money was spent by the BMC was because it would reap the financial success of British competition climbing team’s participation in the Games. He called the rebranding campaign unwise, ill fated and elaborate. 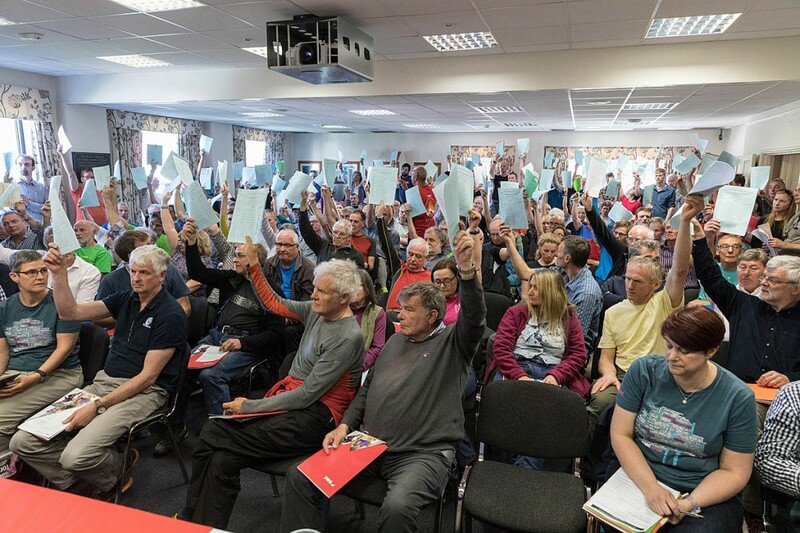 “It became quite obvious to any discerning mountaineer or climber that a whole raft of crucial and critical decisions had already been taken by the executive committee or key figures on it long in advance of the 2016 AGM. He pointed out that Climb Britain was registered for use on 3 March, more than a month before the AGM. He called the change from representative to governing body a ‘secret’ policy decision. Mr Pettigrew said the BMC’s membership was still unaware of how the transformation would be planned, financed, staffed and implemented. UK Sport had already indicated it would not fund Britain’s Olympic climbers. Parents of children entered in junior climbing competitions are beginning to attend area meetings to demand the BMC supervises their training, he added. Mr Davies said the motion impugned the integrity of the volunteers on the executive, was unclear and its underlying reasons had not been revealed to the 80,000 members who were not in the room. It was also unclear; did it refer to present or pre-2016 executive members? “The motion is destructive,” he said, and would involve people who had not been involved in the decisions. The executive was only too happy to reverse the decision, he added. During a lively but generally well mannered debate, Rebecca Hammond said Henry Folkard, a BMC volunteer with a long record in access and conservation who was attending a Kinder Scout event, strongly opposed the motion which, he said, denigrates volunteers. But Lyndon Gill, a north-west representative on the national council, said there was a democratic deficit on the council and questioned the accuracy of some meetings’ minutes. Jim Gregson pointed out that, though the motion may not be carried, the BMC was doing a good impression of a scalded cat since it was posted and wondered if the motion had not been put, whether there would still be the same zeal for reform. Martin Wragg, the BMC’s honorary solicitor, who produced a report on the motion, said he had seen all the documents he had asked to see. 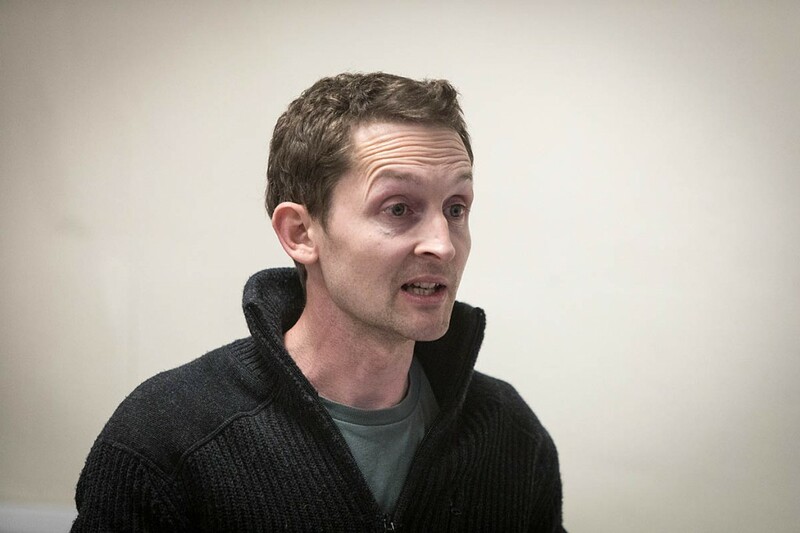 “I identify some URLs were registered in March 2016 following a draft report from consultants but the change was not finalised until after the AGM – on 18 May.” He said, of about 15 URLs that were registered, three or four were in March; the rest in July. Trade mark applications were made after the AGM and a national council debate took place but they were asked to keep these confidential so they weren’t hijacked. Paul Braithwaite said greater transparency was required: the membership should be consulted before any such decisions are made. Dave Prior called the rebranding diabolical and asked why no national executive member had resigned. Dave Turnbull said one member, Deirdre Collier, who was also a national council member, did resign. At the vote, it was clear there was a huge majority of members in the room who opposed the motion. Combined with proxy votes, the motion of no confidence was defeated by 2,100 to 359, with 62 abstentions. It was at his point that Rehan Siddiqui attempted to make a statement, but despite trying twice to start this, he was unable to overcome his emotions. His partner Louise Price took to the platform and read out his statement, including the decision to resign. Clearly overcome, he sat in tears as she castigated the motion’s backers for a politically motivated attack. Mr Siddiqui’s statement said: “I feel it is important to point out that the executive committee is not composed of long-standing, entrenched members. The executive, with exception of the salaried CEO, is actually composed of hard-working volunteers who are highly respected in their various professional fields and who each stand for three year periods with the treasurer standing for five years. “Although the motion of no confidence has not been successful, the BMC faces significant challenges going forward. Executive committee and national council have agreed that a review of governance is required and the best way forward on this is to have an independently chaired review group which will report to national council and the executive committee. “This effort is also supported by major clubs such as the Alpine Club, Climbers Club and others. This review is likely to lead to recommendations for major changes to the articles of association. Today’s BMC is much larger than when the current articles of association were written. “Independently of this decision Sport England have expressed concerns on the BMC’s governance linked in the main to the relationship between the executive committee and national council. This in turn is linked to complying with the Companies Act. “The motion of no confidence has done the BMC no favours with our image with Sport England and in general. The BMC receives funding from Sport England and many aspects our operations will be at risk if the governance issues are not quickly resolved. “The workload on the president and members of the executive committee is significant and regularly goes way beyond what is reasonable for voluntary unpaid roles. The president’s role in particular is not sustainable with regular requirements to have to deal with day to day operational matters. “The board of most representative or governing sporting bodies deal with strategic direction rather than operational matters. This is not the case with the BMC. The motion of no confidence has added to the existing pressure and I have been consumed in BMC matters from dawn to late into the night for extended periods of time. He said his theme as BMC president has been to encourage the wide and diverse range of activities that it is involved with. “The BMC is rightly proud to promote the rich heritage of British mountaineering and traditional climbing values. “It is the representative body for traditional climbing and mountaineering, hillwalking, sport climbing, bouldering, clubs et al as well as acting as the governing body for competition climbing. “By having a balanced and inclusive approach based on consultation and consensus, we are collectively stronger. As Aristotle said: “The whole is greater than the sum of its parts”. I firmly believe that being inclusive enables us to educate our younger generation of the rich heritage of British climbing, traditional values and protecting the environment. “I also believe that it is important that we embrace youth, support competition climbing on artificial structures and find ways to engage with users of climbing walls. “My presidency and involvement with the BMC has been eventful to say the least. The day of my election, a large earthquake hit the mountain regions of Nepal. I immediately put forward a plan to hold charity auction of mountaineering memorabilia, days out with climbing legends and tea with national celebrities amongst many other generously donated items. 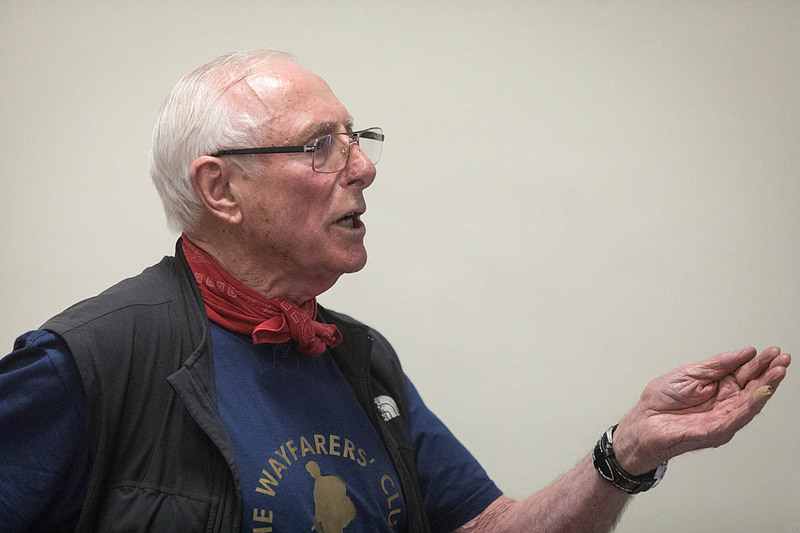 “It brought together the BMC with major clubs such as the Alpine Club and Climbers Club in support of a common aim to provide vital funds to the people of Nepal, in the main, via Doug Scott’s charity. “During my years of involvement with the BMC in different voluntary roles, I was instrumental in the setting up of the equity steering group and acted as its first chair. I served as vice-president from 2008–2011, canvassed support and campaigned for the purchase of Wilton quarry and Crookrise crags, pushed the outdoor agenda with regular meetings with political figures via the all-party parliamentary group. I supported Mountain Heritage Trust and its move to the Blencathra Centre as well as encouraged the series of Alex Honnold lectures. Mr Siddiqui took up the post of president in 2015 after serving as vice-president between 2008 and 2001. He is a keen mountaineer, climber and skier and runs a business providing civil engineering and industrial rope access to companies and organisations. grough has received the following statement from Deirdre Collier: “In Grough’s report on this you say that in response to a query re whether anyone on Exec Committee resigned re the rebranding that Dave Turnbull said that I did. I appreciate that what you say may be a true representation of what Dave said but I would be grateful if you would make it clear in the article that I absolutely did not resign because I was responsible for the rebrand decision/issue. This report of Pettigrew's stance against Olympic climbing is only his view and implies Olympic climbing was never discussed or debated openly. The BMC membership via regional meetings ( I currently chair Lakes Region) has consistently supported Climbing and Olympics. First I have no stance against either competition climbing or its elevation to an Olympic event, nor have I denied that it has been debated in the BMC. But that was nine years ago and only in a National Council debate, not the AGM - the ultimate authority. Will Hunt, BSc (Ind), former president of the LUUMC, met Princess Anne once. I personally don't abhor the idea of the BMC as a governing body. I believe it can fulfil the role of governing and representative body simultaneously and would support it in doing so. I support National Council as a decision making body. It is rare that I can attend an AGM and hear the arguments presented there, however I can attend most local area meetings and discuss and influence NC issues there. I would argue that it is the AGM which is the limited forum here. As an ordinary member who is not a member of a large and historic club, the area meetings provide a vital means for me and others to make their voices heard, however much this may ire RP and his contemporaries. We instruct our NC rep on how to vote and can hold them to account if they don't fairly represent us. Mike Parsons is NOT wrong. There has been, and will not be, a change in the BMC from representative body to governing body. The BMC will remain the Representative body for mountaineers, climbers and walkers Within that body corporate, there will also be a section that acts as a governing body for competitions held within Great Britain, and for the team of athletes that represents Great Britain in international competitions. This governing section will in no way detract from the work of the BMC in representing climbers everywhere. I explained this both publicly and in private to Doug Scott at the NC meeting he attended last year, but it seems to have fallen on deaf ears. Should you wish to become involved in this , then there are ways and means, but from my point of view, the first thing you should do is issue a solemn, serious and deep apology to a lot of people for the way you have conducted yourself. This would be a first step on the route to ever being taken seriously again. If you wish to discuss any of this , then my email address / phon number is hardly a secret (hint - BMC members handbook). Freudian slip time - first sentence should read "There has NOT been, and will not be........"
I'm sure that I'll not be the only person wondering why Bob Pettigrew's motion ever saw the light of day. Rupert Davies demolished each and every "argument" within it, most of which were exposed as being either false or misleading; many demonstrated a search for conspiracy where none exists. His nonsense about registering domain names is one such "non smoking gun". He consistently refused to explain himself to BMC members when invitred to (e.g. at Area Meeting and in Summit magzine) and one can only assume that was because, like Trump refusing to divulge his tax returns, he had something to hide. His behaviour has been shameful, and he has dragged a lot of unsuspecting people down with him. If he doesn't resign his Honorary Membership he should be stripped of it. Legitimate complaints and innocent misunderstandings are one thing, deception and dishonesty are quite another. I'm an ML, a keen Hillwalker and scrambler, I go outdoors to escape politics. I was considering joining the BMC. After reading the article and posts above I think I will stick with the Mountain Training Association. He claimed he had evidence to support all this nonsense but has done nothing to present this leading up to the AGM or during it. The time alloted to speak at the AGM and he claimed was not enough, was in fact agreed by him as sufficient. It strikes me that he's creating a fantasy from carefully selected and isolated events to fit his own agenda. Mike Wilson makes a very good point. For me and I’m sure many others I find it really sad to read all the politics and nastiness connected with this. I thought the underlying activities were supposed to be fun. While you folk sit in meeting rooms arguing about all this nonsense, the rest of us are actually out there enjoying the great outdoors. Perhaps this next statement is over used but it’s actually very true “life really is too short”. Come on people, if you can’t sort yourselves out or agree on anything why not ditch this crap, put your walking boots or climbing shoes on and get out there and live a little. Muddle along, look at progress and the bigger picture. The BMC has come along way since the 50's take membership for example. Keep chipping away and progress will follow, bit like a long alpine climb. Remembering to eat and drink along the way helps on the journey!